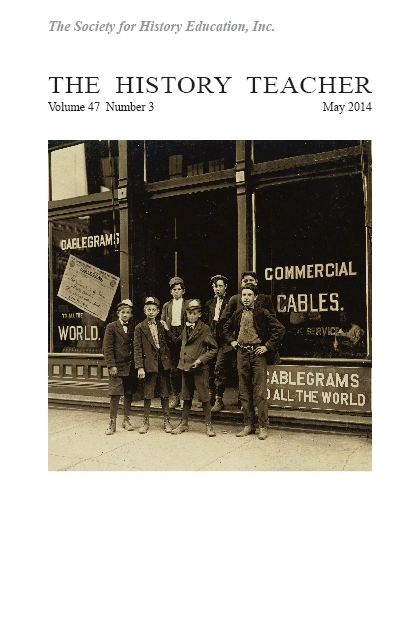 thehistoryteacher.org/tuning Front Cover: Duplex Scaling. Digital image [of the interior of a grand piano] uploaded to Wikimedia Commons by user "Opus33" on 3 May 2004. https://commons.wikimedia.org/wiki/File:DuplexScaling.jpg. Back Cover: Piano strings 6. 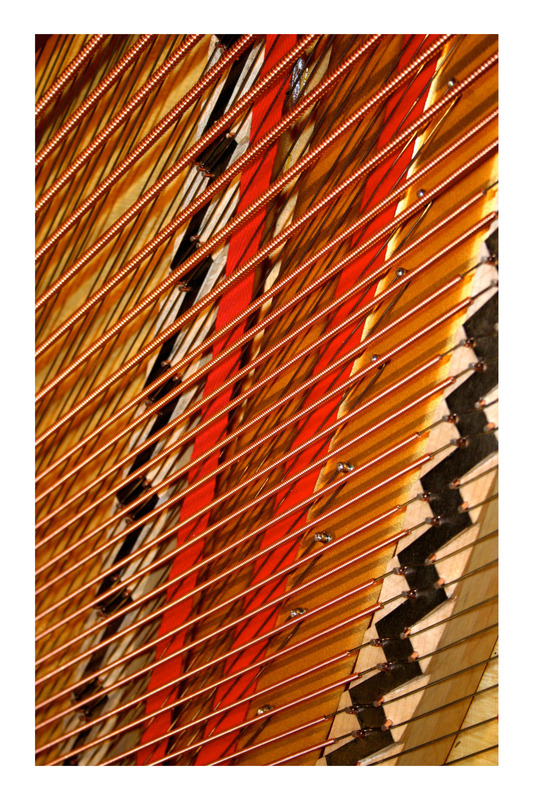 Digital image [of the original "Music Strings" photograph by Alan Levine, 31 March 2007] uploaded to Wikimedia Commons by bot "FlickreviewR" on 15 October 2008. https://commons.wikimedia.org/wiki/File:Piano_strings_6.jpg. The stunning, intricate design of the piano is normally hidden beneath the surface, yet these inner workings can produce magnificent and historic masterpieces. With coordination and expertise, individual—and even contrasting—notes are able to join together to create harmony. 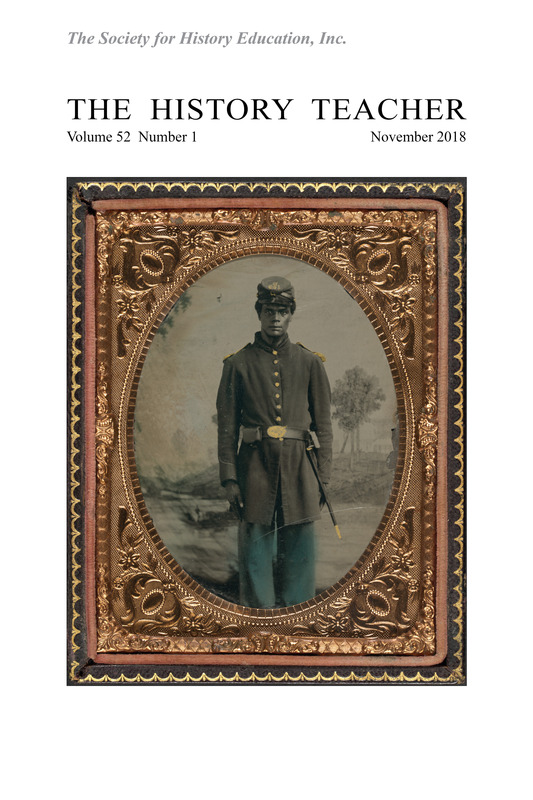 The History Teacher spotlights the incredible and ambitious endeavor, the American Historical Association's Tuning Project. 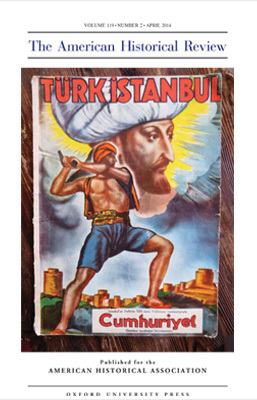 Historians from around the world are working in concert to improve the teaching and learning of history throughout the globe. In the United States, the AHA has taken lead in Tuning, collaborating with faculty across the country "to articulate the disciplinary core of historical study and to define what a student should understand and be able to do at the completion of a history degree program." 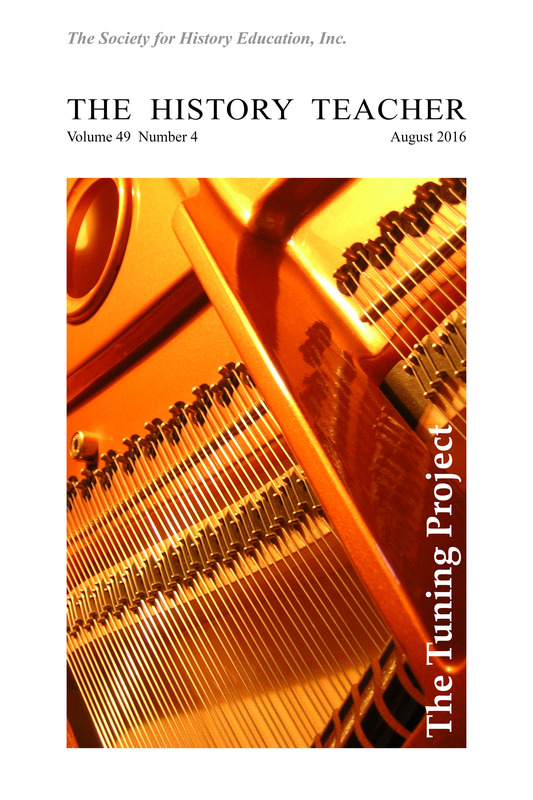 Learn more about the AHA's Tuning Project at https://www.historians.org/tuning, but first enjoy this issue of The History Teacher, which begins with Daniel J. McInerney's "The American Historical Association's Tuning Project: An Introduction." Conrad, Sebastian. 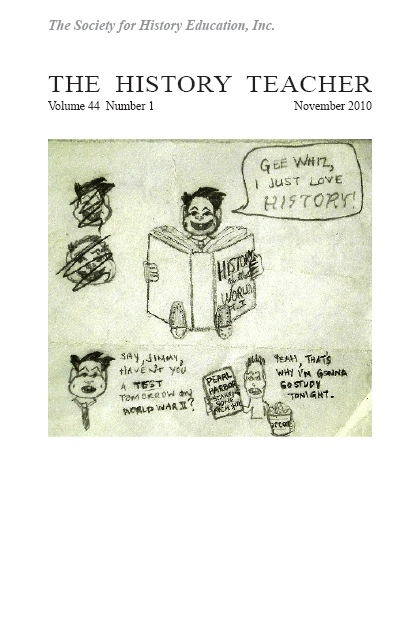 What is Global History? Andrew Stuart Bergerson (Ph.D., History, University of Chicago) is a Professor of History at the University of Missouri-Kansas City. He has written and co-written three books in modern German history: Ordinary Germans in Extraordinary Times (2004), The Happy Burden of History (2011), and Ruptures in the Everyday: Views of Modern Germany from the Ground (forthcoming 2017). He is also a lead investigator in an interdisciplinary, intermedial project in public history, Trug und Schein: Ein Briefwechsel (trugundschein.org). Elaine Carey is a Professor of History and Chair of the Department of History at St. John's University in Queens, New York, and she holds the Lloyd Sealy Research Fellow at CUNY's John Jay College of Criminal Justice. She was the Vice President for the Teaching Division of the American Historical Association from 2013-2016, and she is active in the AHA's Tuning Project. She is the author of Plaza of Sacrifices: Gender, Power, and Terror in 1968 Mexico (2005) and the award-winning Women Drug Traffickers: Mules, Bosses, and Organized Crime (2014). Tracey-Anne Cooper is an Associate Professor of History at St. John's University, where she has taught medieval history for the last nine years. Her research interests are reflected in other classes she teaches at undergraduate and graduate levels, including world history, women's history, cultural and intellectual history, and food history. Cooper is also keenly interested in the development of student writing and communication at all levels and in the pedagogy of student-centered online learning. Her innovative teaching strategies have included researching and writing a historical novel with her students, which they then self-published. Susan Eckelmann is an Assistant Professor of History at the University of Tennessee at Chattanooga and specializes in the history of children and youth, American race relations, modern U.S., and transnational history. In 2014, she completed her Ph.D. in History and American Studies at Indiana University Bloomington. Her manuscript in progress, "Freedom's Little Lights: Children and Teenagers in the U.S. and Abroad during the Civil Rights Era," examines the nexus of teenage youth, civil rights, and Cold War politics during the 1950s and 1960s. Leah K. Gensheimer holds a Ph.D. in Ecological/Community Psychology from Michigan State University. She is an Associate Professor and Director of Assessment for Psychology at Avila University, where she teaches at the graduate and undergraduate levels and serves as an undergraduate academic advisor. Her current interests include the scholarship of teaching and learning, academic assessment, children and youth development, and academic service learning. Sara C. Jorgensen received her Ph.D. in History from Princeton University, and is currently an Assistant Professor in the Department of History at the University of Tennessee at Chattanooga. Her teaching and research interests include southern African history, world history, and pedagogy of historical research and writing. Nathan Lindsay is the Associate Provost for Academic Affairs at the University of Montana, where he also serves as an Associate Professor in Educational Leadership. Before that, he was the Assistant Vice Provost for Assessment at the University of Missouri-Kansas City, and the Director of Student Life Assessment at UNCW. His research interests include the improvement of learning and teaching, efforts to enhance the holistic development of students, and technology integration into higher education contexts. Daniel J. McInerney (Ph.D., History-American Studies, Purdue University, 1984) is a Professor of History and Associate Head of the History Department at Utah State University in Logan, Utah. His research focuses on nineteenth-century U.S. history and social reform. McInerney has worked with the Lumina Foundation on the Tuning initiative since 2009, serving with the American Historical Association, as a member of the Tuning USA Advisory Board, and with the National Institute for Learning Outcomes Assessment. Nancy Quam-Wickham received her doctorate in History at the University of California, Berkeley. A former editor of this journal and department chair, she is now a Professor of History at California State University, Long Beach. She has shared her work in assessing student learning and curricular designs at a variety of conferences and organizations, including the AHA, MHEC, WASC, SSRC, and AAC&U. She is a NILOA Degree Qualifications Profile Coach. Kira Robison has a Ph.D. in History from the University of Minnesota and is an Assistant Professor at the University of Tennessee at Chattanooga. 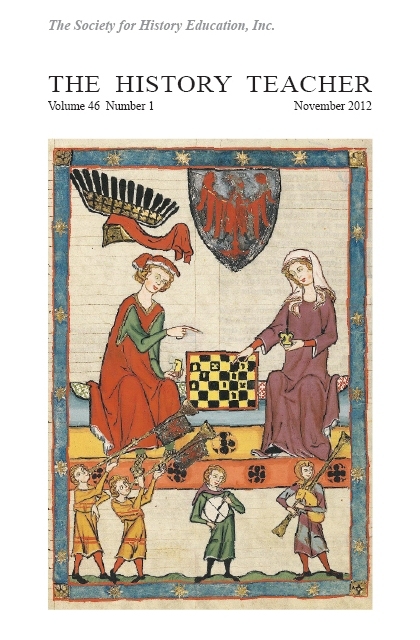 Her fields of teaching and research are medieval history, with a focus on medicine, law, and religion. Sarah Shurts received her Ph.D. in Modern French History from the University of North Carolina at Chapel Hill. She is an Associate Professor of History at Bergen Community College in New Jersey. Recent publications appeared in Historical Reflections/Réflexions Historiques, European History Quarterly, and French Politics, Culture & Society. She is co-editor of the The Journal of the Western Society for French History, served on AHA's James Harvey Robinson Prize Committee and the Tuning Committee, and is creating a resource collection for the Oxford University Press textbook, The West in Question. Dan Stroud (M.A., Political Science, University of Missouri-Kansas City) serves as the Assessment Specialist at Midwestern State University in Wichita Falls, Texas. In addition to his work in the assessment field, he serves as Associate Editor for Poverty and Public Policy, an e-journal of the Policy Studies Organization.